PA chairman praises UNESCO for passing resolution claiming that Hevron is an “endangered Palestinian heritage site”. Palestinian Authority (PA) chairman Mahmoud Abbas on Friday praised the United Nations’ cultural agency UNESCO for its decision claiming that Hevron is an “endangered Palestinian heritage site”. 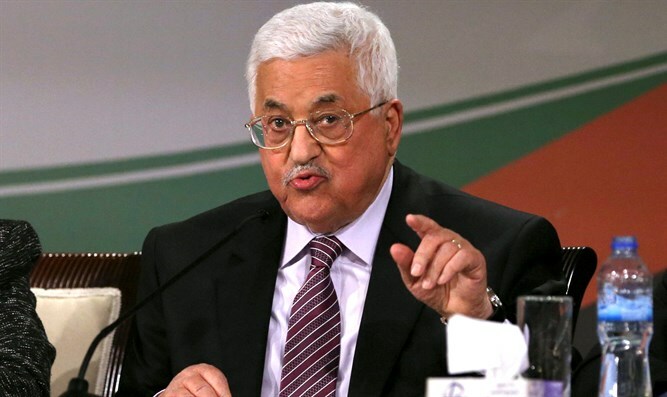 “It is due to Palestinian diplomacy and the support of our friends in the world, that UNESCO voted on two important resolutions; the first concerning Jerusalem and the second about Hebron for being two historical cities,” said Abbas, in comments quoted by the Wafa news agency. “The resolutions passed despite the pressure exercised on many states by Israel and the United States,” he added. The PA official in charge of foreign affairs, Riyad al-Malki, criticized the countries that did not support the resolution and chose instead to “accept the fabricated Israeli narrative”. “This is an indirect encouragement for Israel to continue its violations and overlook the danger surrounding Palestinian heritage and rights,” said al-Malki, according to Wafa. Hamas, which rules Gaza, hailed the UNESCO decision as well, saying it as an "affirmation of our full rights in Hebron and all Palestinian land", according to AFP. 12 countries voted in favor of the resolution while three opposed it and six countries abstained. In response, Prime Minister Binyamin Netanyahu ordered to cut an additional $1 million from the membership funds that Israel pays to the UN. The money will instead be transferred to the establishment of "The Museum of the Heritage of the Jewish People in Kiryat Arba and Hevron" and to additional heritage projects related to Hevron. Friday is not the first time that UNESCO has passed an anti-Israel resolution. In October 2016, UNESCO published its decision that Israel has no rights to Jerusalem, and that Jews have no connection to the Western Wall and Temple Mount. In May, UNESCO passed a resolution condemning Israel’s actions in Jerusalem and in Gaza. Following that resolution, Netanyahu deducted $1 million from the funds that Israel transfers to the UN.